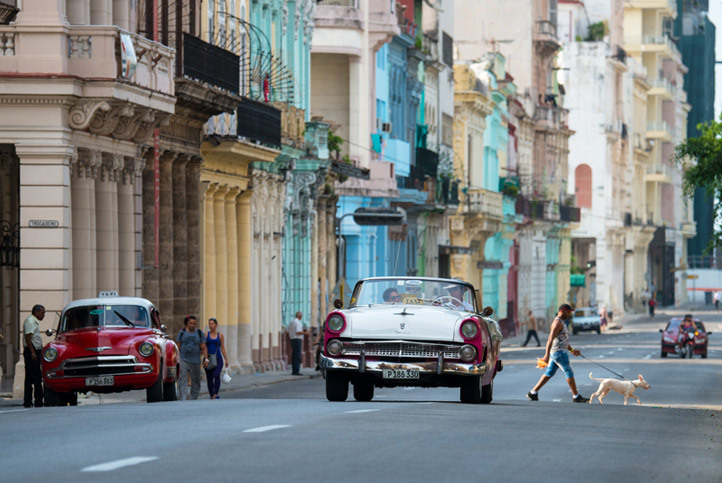 Join Guy Harvey Resorts & Doc Ford Cuba Expeditions as we take you on an unforgettable photo & cultural expedition to experience the history, arts, music & culture of Cuba. 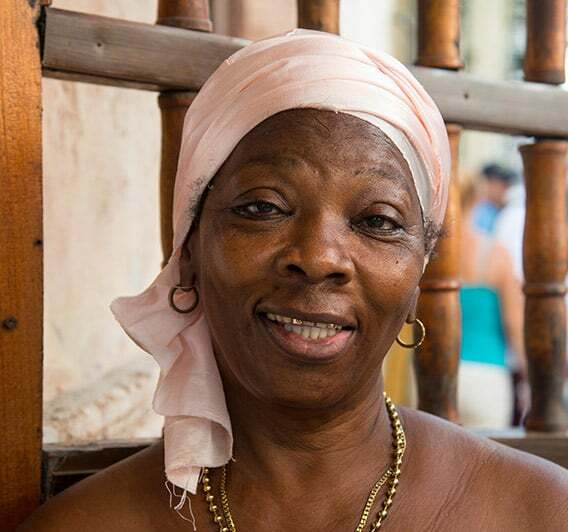 Our 6-day expedition will provide you the complete experience of the Cuban life where we will explore hidden gems loved by the locals that are often missed by the inexperienced. 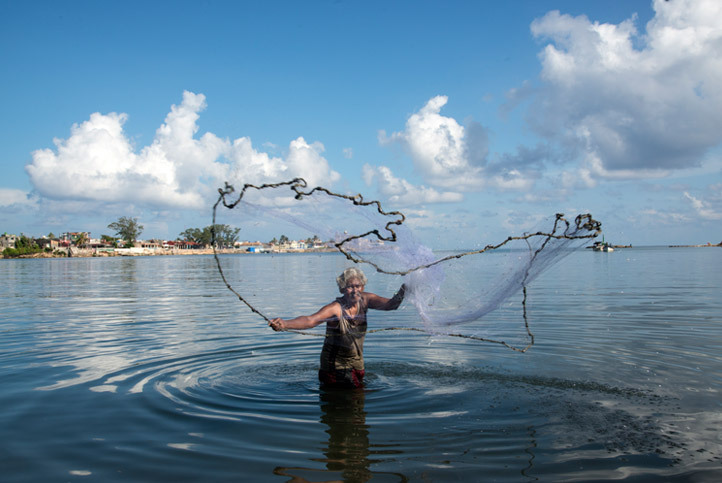 Our basecamp will be Cojimar, a small fishing village made famous by Hemingway’s “Old Man and the Sea”. 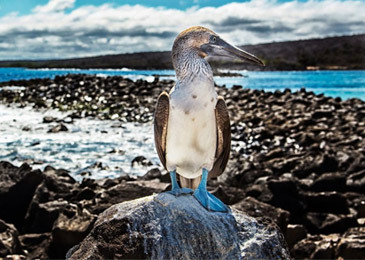 Here we will tour the fishing co-op, Plaza de la Catedral, and Plaza de Armas. We will also tour the “must see” historic sites in Havana including the Masonic Museum, take a walk-through history at Finca La Vigia (Hemingway’s Estate), and Floridita, the birthplace of the Daiquiri. 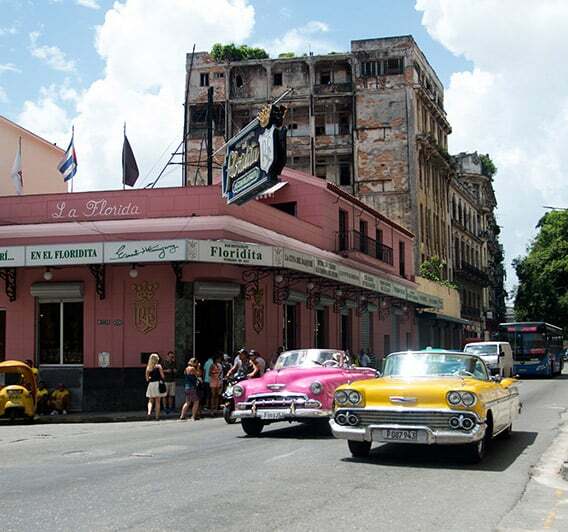 In the evening, experience the Island’s music and dancing as we visit the local jazz clubs in Havana and Cojimar. 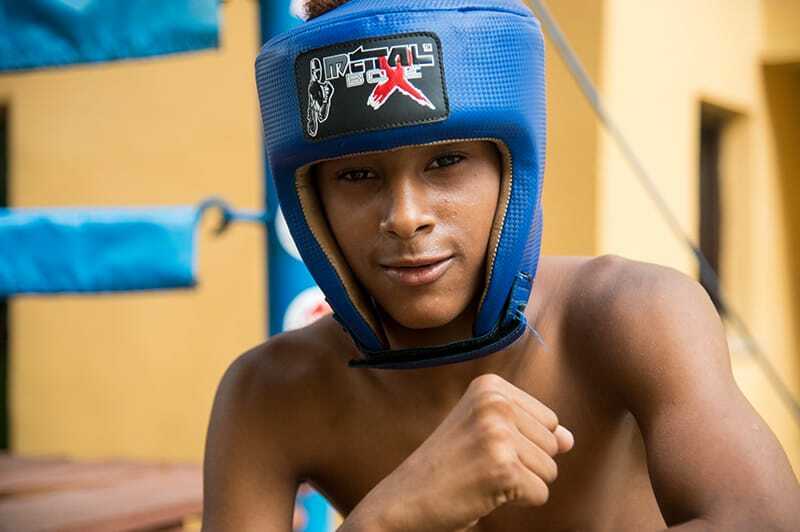 Sports Illustrated Photographer, Ron Modra, will be your guide as you tour all these historic sites, unique architecture and classic cars to capture this vibrant culture including some of Ron’s favorite spots like a visit with the Cuban Baseball Team, photographing one of the Cuban boxing gyms, and evening ballerina shoot that is unforgettable in the streets of Old Havana. 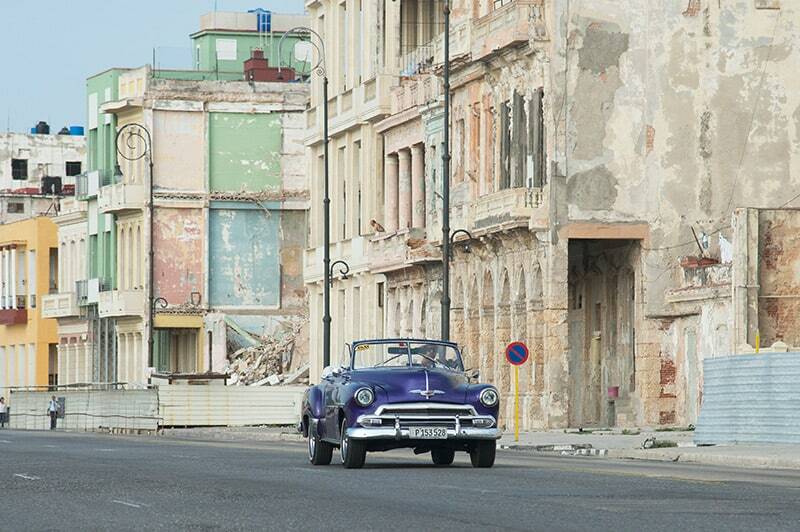 Don’t miss this bucket list opportunity to truly capture the essence of Cuba, it’s people, and culture. This is a 100% legal People to People tour for US citizens. 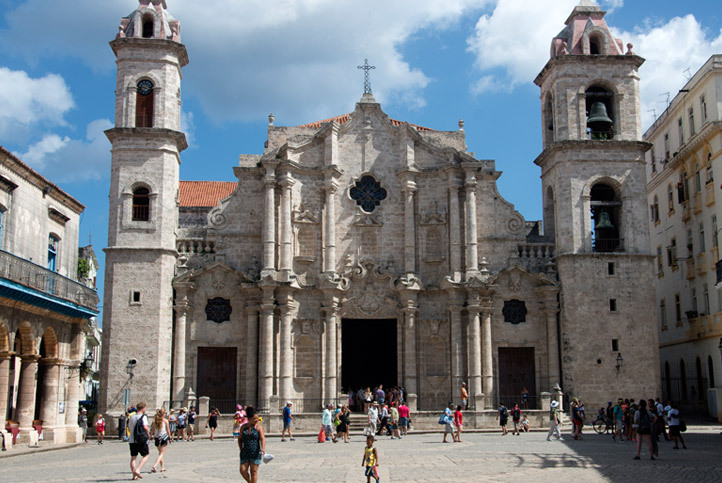 We will help you coordinate the correct visa and airfare from Ft Lauderdale to Havana. 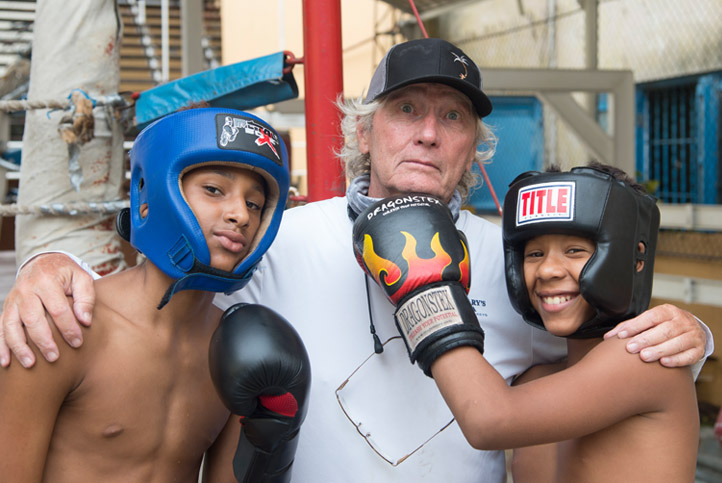 Sports Illustrated Photographer, Ron Modra, will guide you through the streets of Old Havana and Cojimar visiting some hidden gems of Cuba such as Rafael Tejo’s Boxing Gym along with the historic “must see” sites like the Masonic Museum and Floridita. Stay in an authentic Cuban private home in the small fishing village of Cojimar, which inspired Hemingway’s Book “The Old Man and the Sea”. 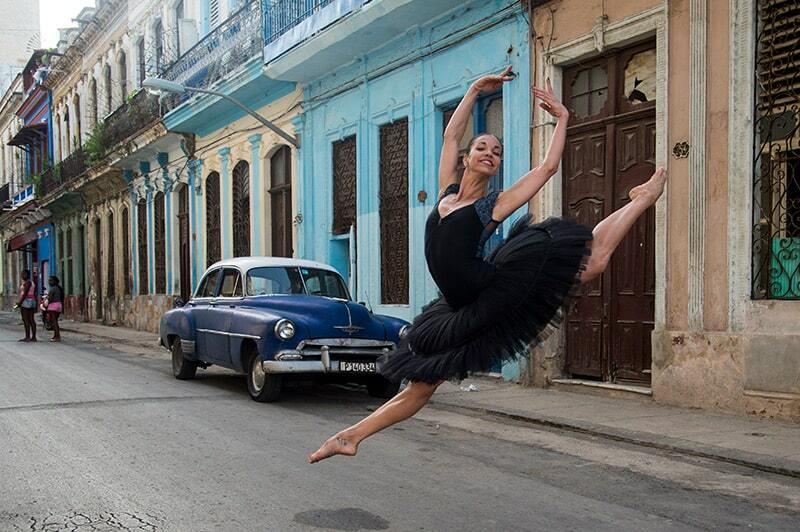 Enjoy a private photo shoot with Cuban ballerina through the streets of Havana. 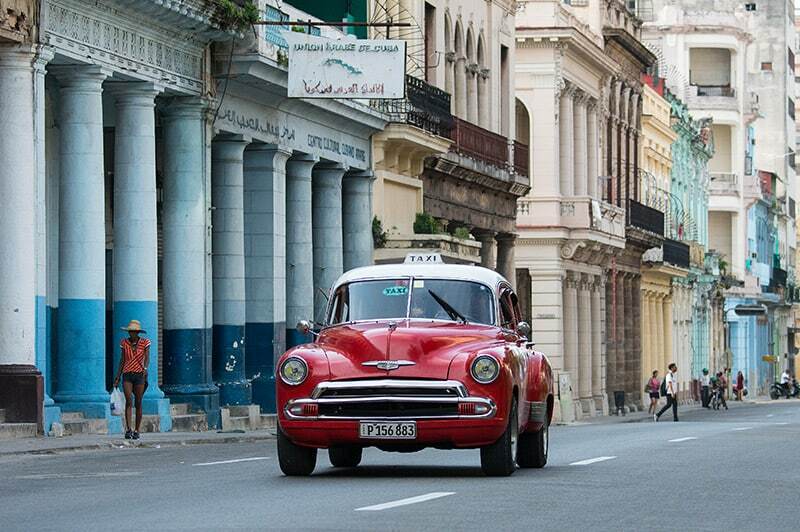 The Cuba Expedition is $2,995 per person. 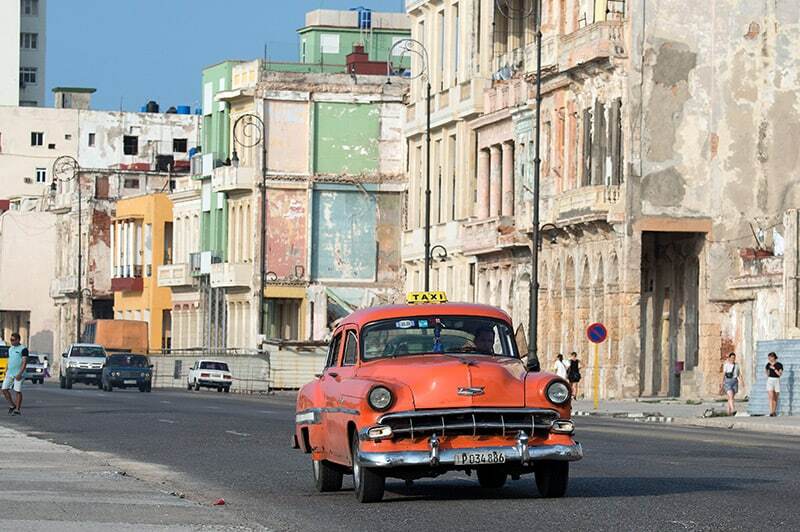 $1,995 initial payment is due at booking with $1,000 cash upon arrival in Cuba. Vamonos! The group will depart from Fort Lauderdale at 3:00 pm and arrive into Havana at 4:30 pm. 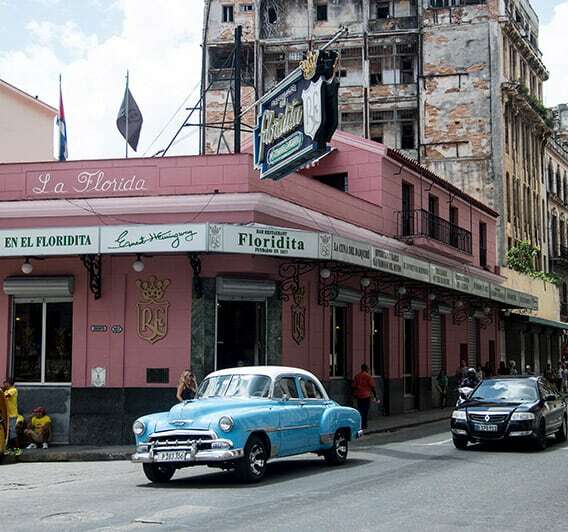 After the group clears customs & immigrations we will visit the Plaza Hotel to immerse ourselves into the Cuban Culture with live music from a four-piece band. Here you will have great photo opportunities of the Parque Central, classic cars, pedi-cabs, and panoramic views of Havana. Afterwards we will have dinner at Tatagua in Old Havana which has beautiful views of the paseo de prado which is the pedestrian median that stretches from Old Havana to the Malecon. 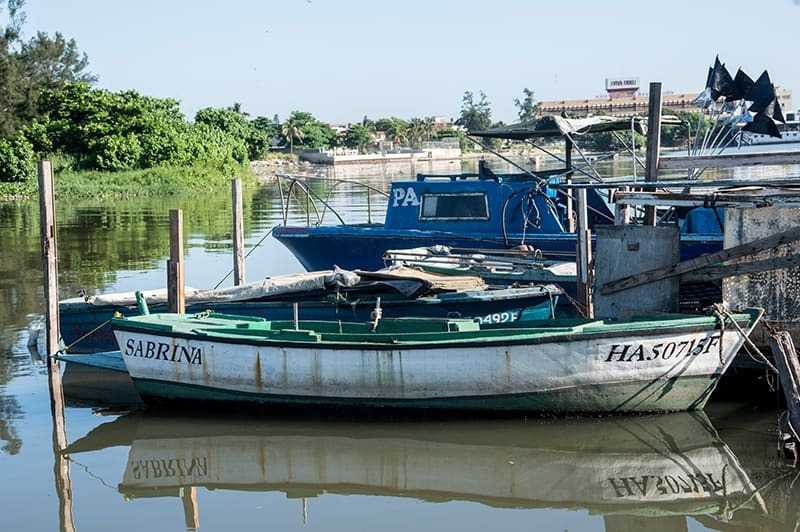 After dinner we will travel to Cojimar, a small fishing village just outside of Havana, where Hemingway docked his boat El Pilar and was his inspiration for Old Man and the Sea. Here we have arranged for accommodations in a private home as a way to experience an authentic Cuban lifestyle by being able to mingle with the locals and still being able to visit all the “must see” places in Havana. 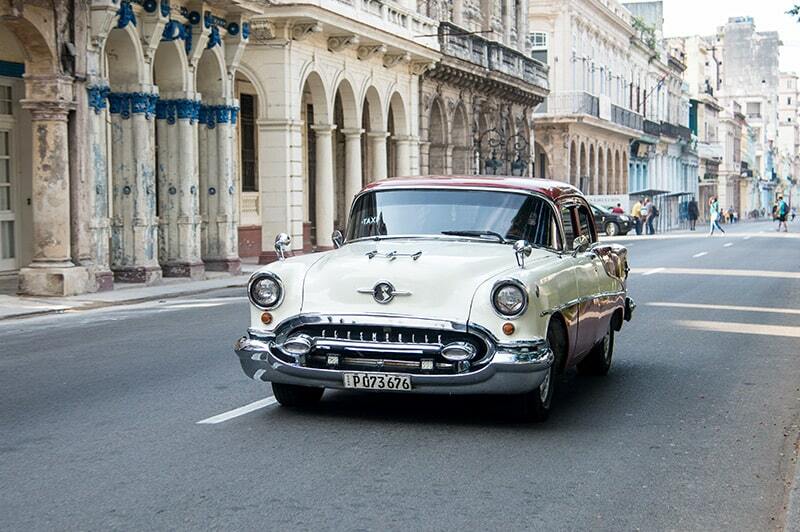 Photographic Classic Cars in the streets of Havana. 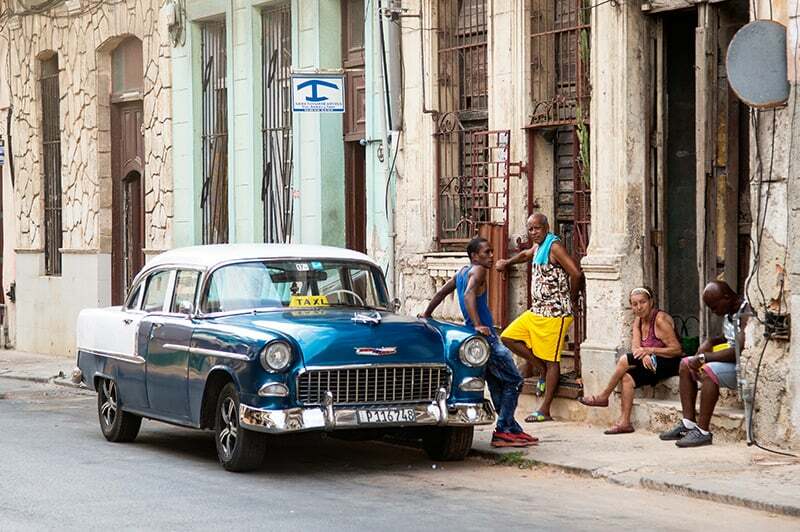 Explore more of Old Havana photographing the classic cars & locals playing dominoes experiencing the daily life and culture of the Cuban people. 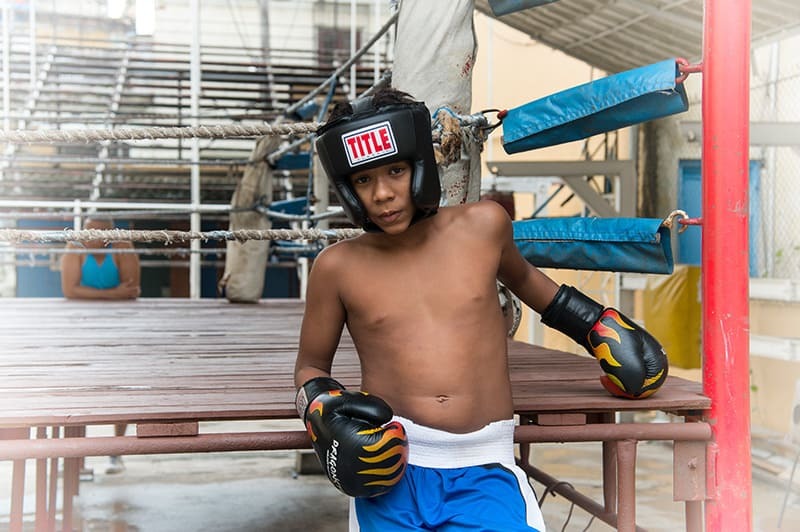 Photograph Rafael Tejo’s boxing gym and some of the up and coming Cuban boxers. 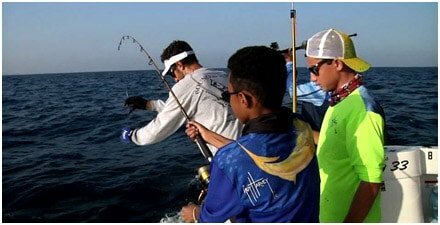 Tour the Cojimar fishing cooperative. See the inspiration behind Hemingway’s Old Man and the Sea. Tour the Masonic Museum enjoying the rooftop views of Havana. We have also arranged a private tour from the museum’s keeper who will detail the most insightful pieces in the museum. Note an individual donation is required to enter the museum. Old Havana walking tour viewing the architecture and classic cars. Evening ballerina photo shoot on the streets of Old Havana. Tour the Cemeterio Colon, one of the most important historical cemeteries in the world and is generally held to be the most important in Latin America for historical and architectural terms. 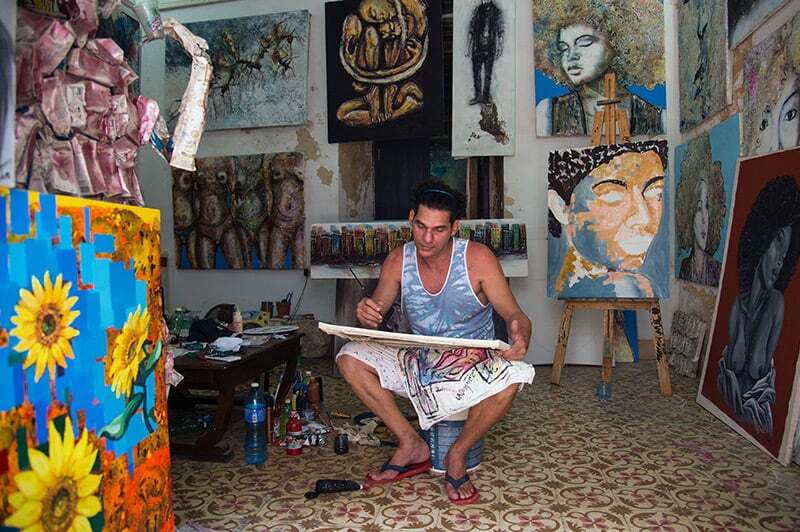 Visit Fusterlandia where Cuban artist, Jose Fuster, reclaimed his impoverished neighborhood as a dreamy folk-art kingdom. Enjoy a tour of Hemingway’s Marina from the Commodore. Dinner including make your own mojito and a traditional Cuban pig roast. 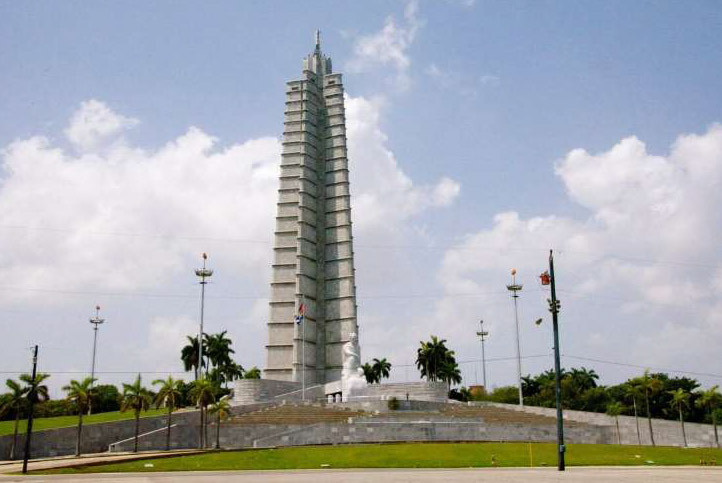 Tour the Museo de la Revolucion and photographic the old tanks. Enjoy walking and shopping at the San Jose Market where Havana’s artisans exhibit and sell their handcraft items. 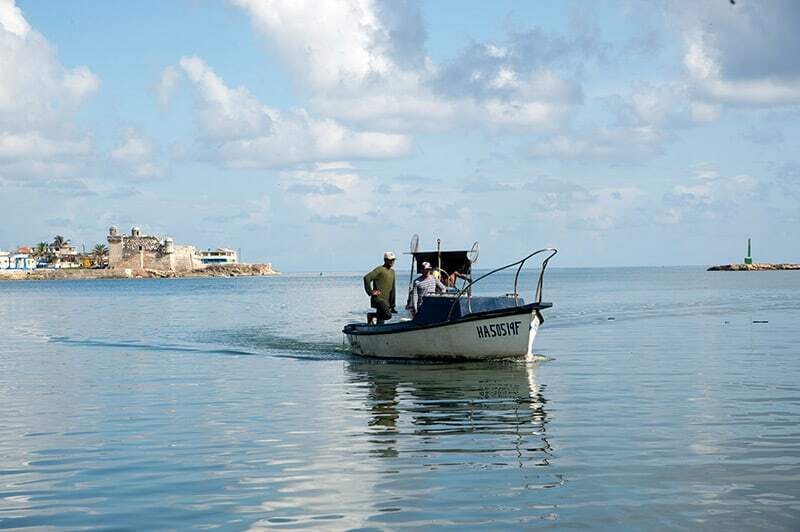 Visit the Hotel Nacional, which is a historic hotel located on the Malecon offering views and photo opportunties of Havana Harbor, the seawall and the city. 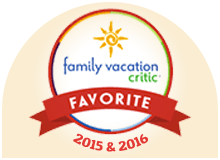 Doc Ford’s Cuba Expeditions trains and employs only the best and most knowledgeable support staff on the island. Each one of the Cuban staff members has formal university education and have made careers in other areas of the State or private sector. Our principal team in Cuba-includes a lawyer, a museum curator and historian, a formally trained guide, and a UNESCO architect. Doc Ford Cuba Expedition is designed to introduce you to Cuba including the surrounding areas of Havana from Cojimar to Viñales. 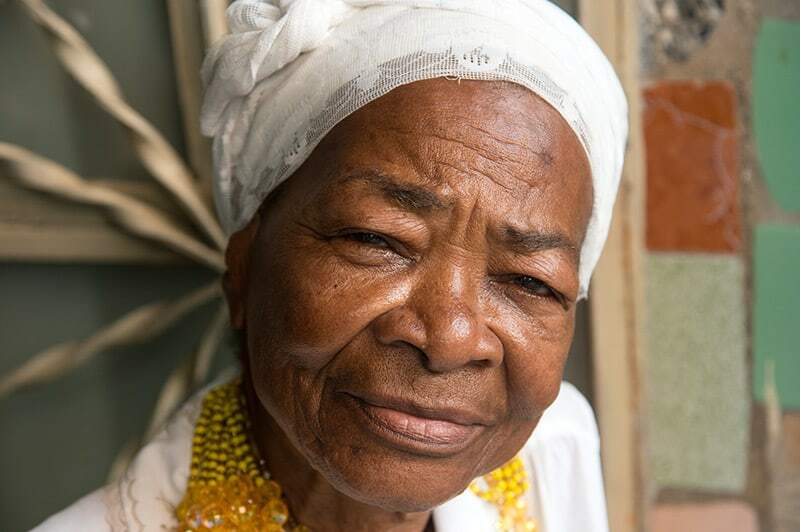 You will meet real Cuban living icons and learn about Cuban history and culture. 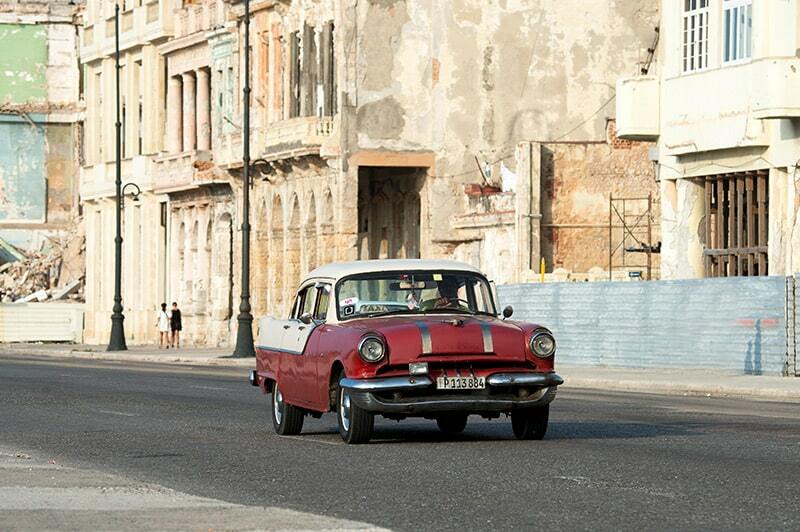 They specialize in Educational Tours of Cuba and we will process visas for Educational / People-to-people purposes. Both purposes are LEGALLY permitted by the US Government. 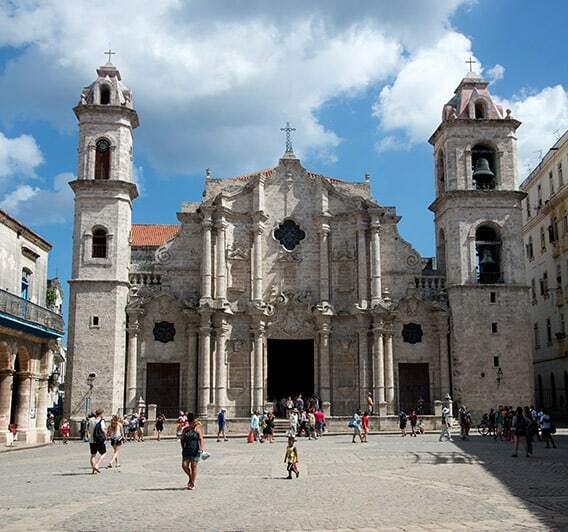 The focus of our tours is on educating our travelers in small groups on many aspects of Cuba. 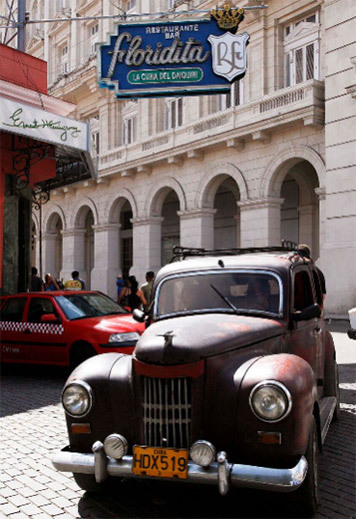 Doc Ford’s provides experts in various fields, so that you can learn as much about Cuba during your stay. 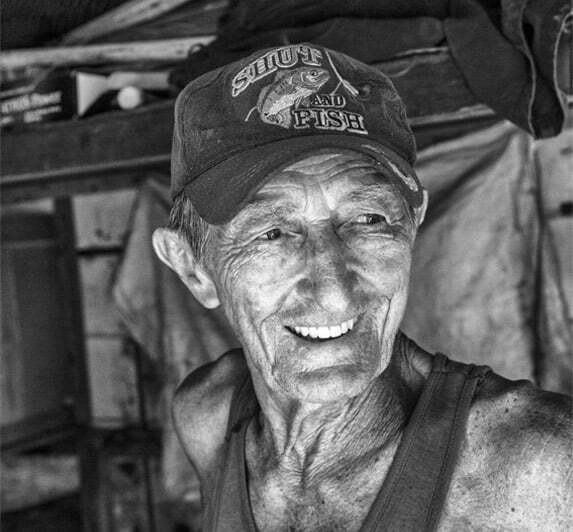 Ronald C. Modra was a staff and contract photographer at Sports Illustrated for 25 years with 70 magazine covers to his credit and countless images you’d almost certainly recognize, capturing his unique bond with players forged though his love of sports, especially baseball. Several of his photographs appear in Sports Illustrated’s 40 Best of All Time and The Century’s Best Sports Photo’s. He is also a two-time winner of Baseball Hall of Fame’s “Photo of the Year” award, and has authored two books on the game – “Reflections of the Game” and “A Baseball Life” each showcases his best images from a spectacular career. 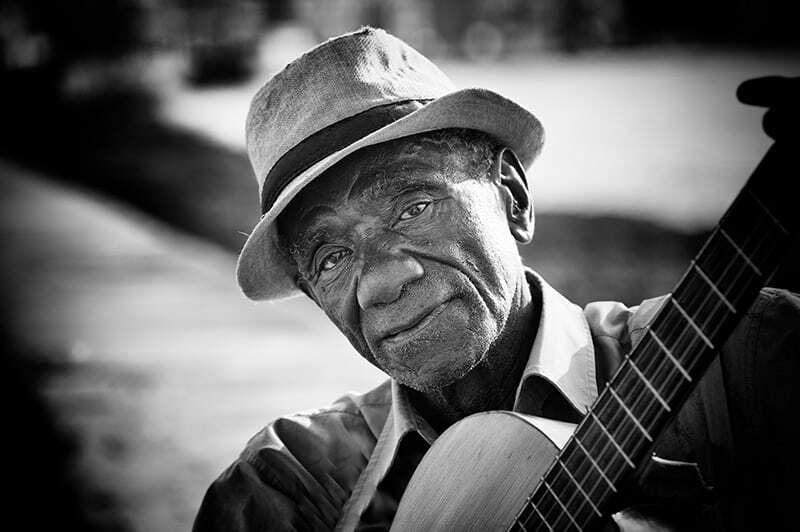 Of late, from his home in Nashville, Ron has enjoyed shooting album covers for country and western artists. As he says, “Singers are all pretty good looking – it’s hard to screw up when your subject is Martina McBride. 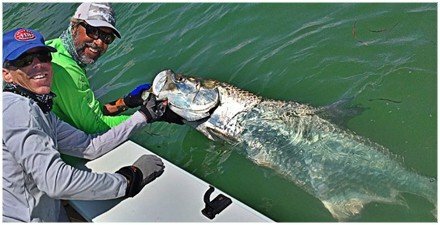 When it comes to athletes, hey, we’re not miracle workers!” When not behind a camera, Ron is an avid outdoorsmen and angler, often fishing down in the Florida Keys, Bahamas or other tropical fishing hot spots. We have arranged for accommodations in private homes in the small fishing village of Cojimar, which was the inspiration for Hemingway’s Old Man and the Sea. Cojimar is located just east of Havana. Each private home is hand selected and secure to ensure your comfort during the trip. 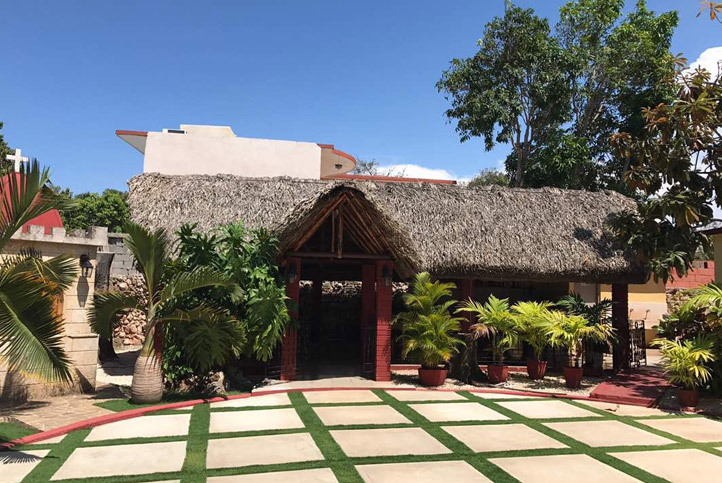 Private homes are a great way for the traveler to experience an authentic Cuban accommodations as well a wonderful way to support responsible travel by working directly with the locals and contributing to the Cuban families. 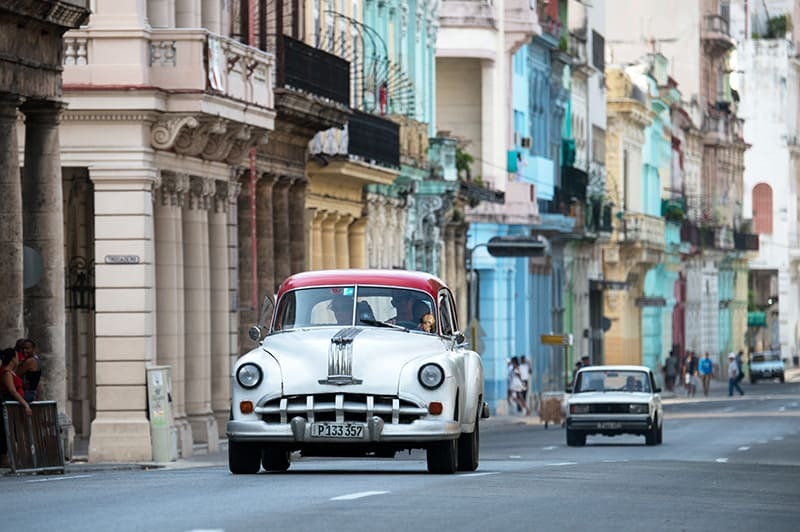 The US Department of Treasury’s Office of Foreign Assets Control allows US citizens to travel to Cuba with US travel companies that offer a full schedule of educational exchanges that will result in meaningful interactions between the Americans and individuals in Cuba. Is there paperwork to fill out while on the plane? You will have three forms to fill out on the plane. VISA – There is one piece of paper with two VISAS on it. You must fill out both. Customs Declaration Form – You must fill this out. One per family is acceptable. Health Form – This will be collected as we walk through the airport. What should I expect upon arriving at Havana Airport? We will disembark the plane and we may have to take a shuttle to the entrance of the airport. Choose a line for customs to go through. You will be called into a customs kiosk and asked for your passport and your VISA. They will ask why you are here, you should say ‘educational travel’ or ‘to learn about your wonderful country’. The US does not allow the word tourism to describe your trip for visa purposes. Once they stamp your passport and welcome you, they will motion for you to exit the kiosk. They will buzz you through the door (like in a jewelry store). Once you exit the customs kiosk, you will go through security with your carry-on luggage. Take your shoes off, belt, etc. Once you exit security, we will meet at the base of Baggage Carousel 1. We will then wait for our check in luggage. Once we have all the luggage, we will begin to exit the airport. Just before the exit doors, you will have to submit your blue Customs Declaration Form and show them your plane ticket stub if you checked a bag. On the reverse of your plane ticket stub, there is a sticker that has numbers matching the luggage tag on your check-in luggage. This ensures that the luggage belongs to the person who is attempting to exit with it. We will regroup outside of the airport before boarding our car/bus. Our guides will be there waiting for us and we will board the van for the trip to Cojimar..
As it currently stands, your cell phone will work in Cuba with either Sprint or Verizon. Internet is now very accessible in Cuba. At the hotel, you will have access to purchase WiFi cards that grant you access as well as purchasable Internet cards for the WiFi in many public places. You can access the WiFi with your WiFi capable electronic device for e-mail, FaceTime, Skype, etc. Will I need a power adapter for my electronics? 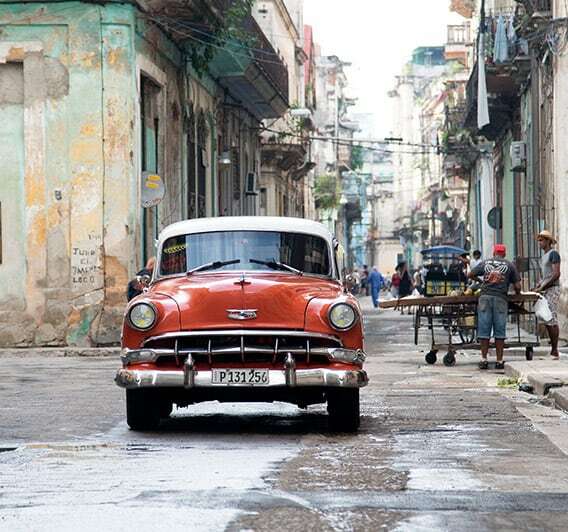 There are two voltages in Cuba – 110W and 220W. Most places have both plugs. You shouldn’t worry about bringing an adapter. 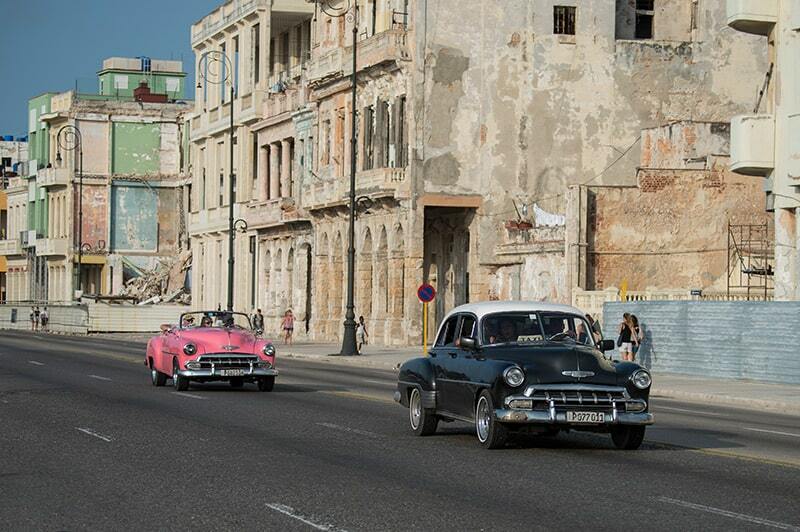 The weather in Cuba varies from hot to hot. During the day, casual attire (shorts, etc.) is commonplace. At night, pants/dresses/skirts etc. are more common. You are permitted to bring donations to organizations or institutions in Cuba; however, gifts to individuals are not permitted. We will visit the GiGi Stars (Hemingway’s baseball league), which is now a project headed by Coach Jorge along with Blas Mesa (Blas used to play baseball as a kid with Hemingway). Baseball equipment of all sorts as well as school supplies are welcome. 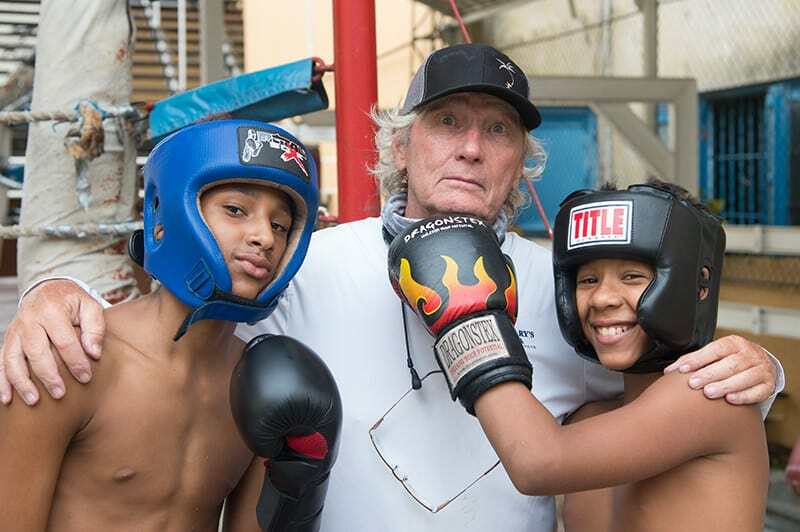 There are a total of 80 kids ranging from 5 years old to 17 years old who are part of this community project. The masonic lodge in Havana also accepts gifts/donations of any sort for the lodge members and their families. Can I bring back alcohol and tobacco? Currently the US allows you to bring back tobacco and alcohol for personal consumption without limit. You do not need to provide receipts for your purchases (as it currently stands). There is a duty-free shop at the HAV airport. What kind of currency is used and accepted in Cuba? Once in Cuba, we will exchange money. The current exchange rate is around 87 CUC per 100 USD. Money to exchange can be exchanged at the hotel. There are two different types of currency in Cuba: The CUP and the CUC. The CUP exchange rate is 25 to one CUP. 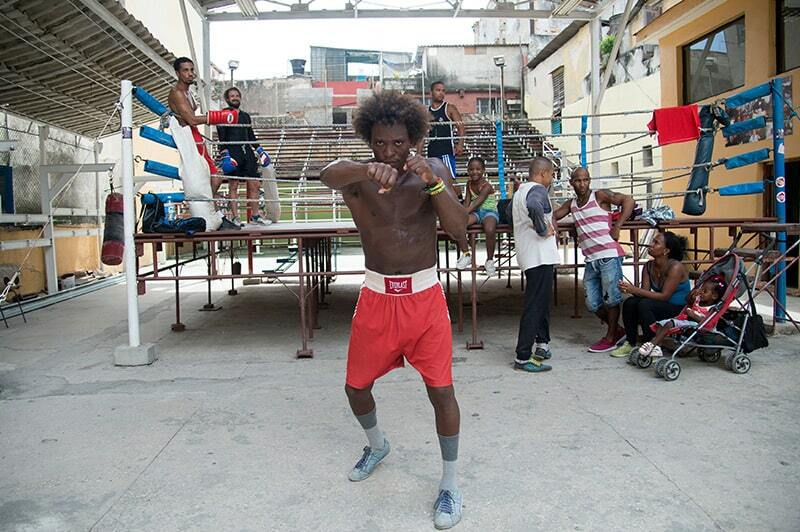 The CUP is what Cubans are paid in by the State and what they use to spend on a daily basis. 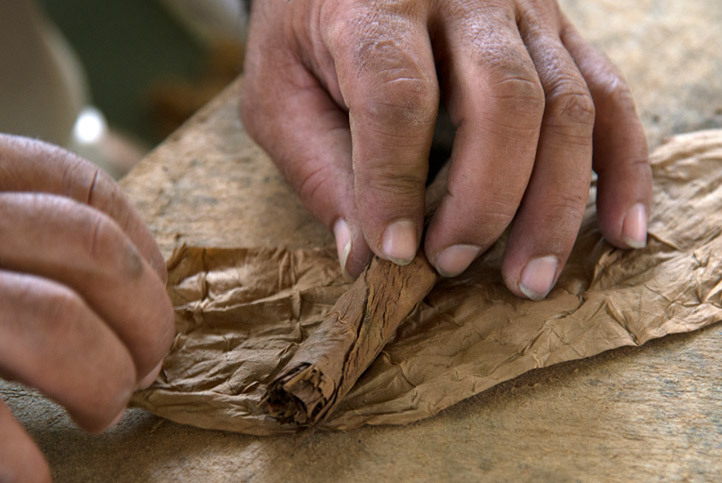 Travelers use CUC, as do many Cubans. US credit cards or debit cards do not currently work in Cuba. How much spending money should I anticipate? The amount of spending money depends on how much alcohol or soft drinks you consume, if you purchase art, other souvenirs, head out for an evening at the Tropicana, late night transportation, etc. Each B&B room will have a lock box (safe). Carrying your passport is at your own discretion. I recommend carrying a laminated copy of your passport and carrying your Visa with you as well. Keep your passport and the copy of your passport in two separate locations. 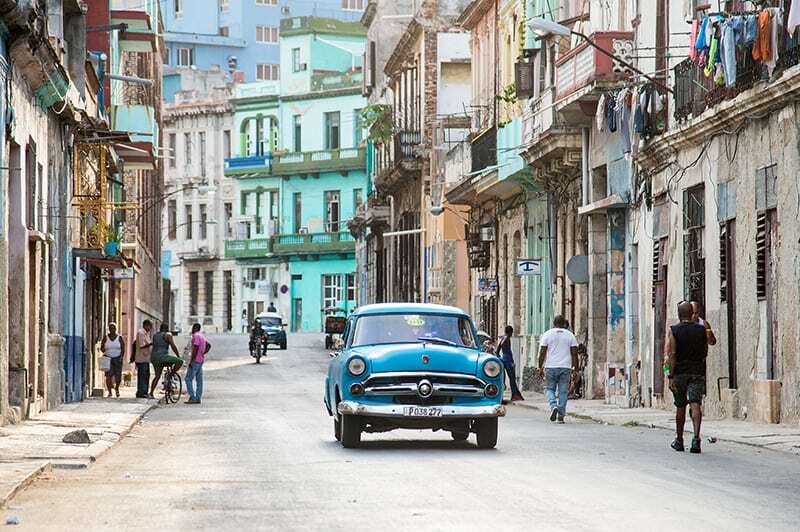 Is there an opportunity to shop in Cuba? We will visit the San José market where you will find many items such t-shirts, coffee mugs, domino sets, wooden boxes, original art, and many other goods. 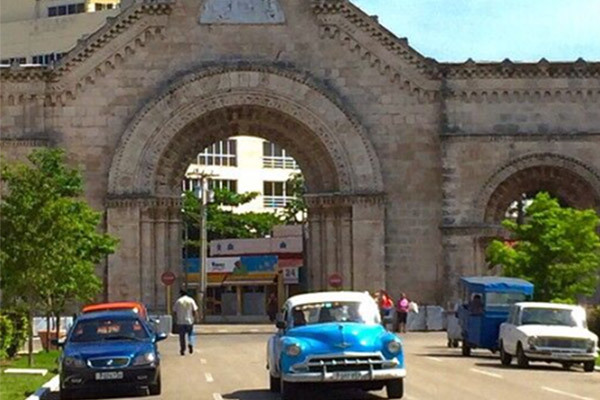 Business in Cuba is growing rapidly on many fronts. 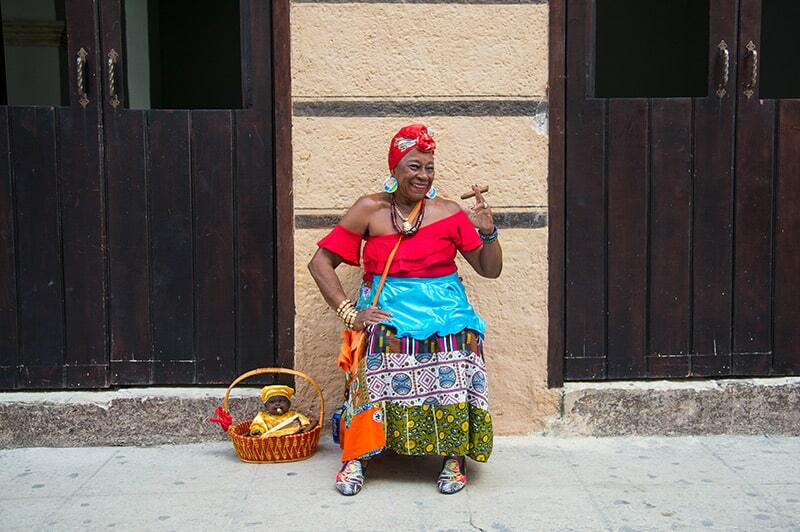 You can also visit the boutique local shops in Old Havana. How much is a typical wage in Cuba? An average salary in Cuba is between $20.00 and $30.00 USD a month regardless of the type of employment. Retirement pay is about 50% of that amount. Should I leave gratuity at the hotel? Yes, leaving a daily tip for the person who cleans your room is customary. Don’t wait until the end of your stay to leave a tip because it might not be the same person every day that cleans your room. 1 CUC to 2 CUCs is customary per night. Should I leave gratuity at the restrooms? The bathroom attendant expects a tip and most often you will have to purchase toilet paper from them and or pay before you enter the facilities. 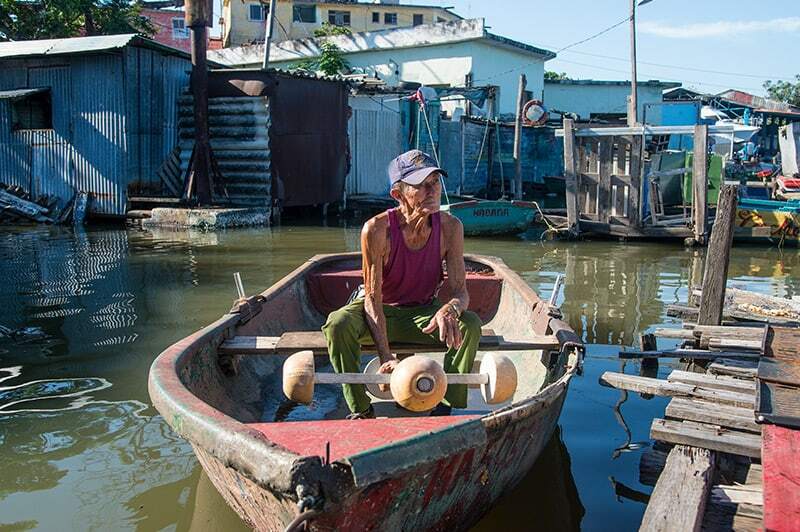 Are there sanitation systems in Cuba? The sanitation system (toilets) in Cuba does not handle toilet paper. All toilet paper must be thrown away in the trashcan next to the toilet. Is the tap water safe to drink for us? No. Only drink bottled water. For brushing teeth, use bottled water. Ice may not be fine and may not have been made from bottled /filtered water. Use your best judgment. There are plenty of clearly marked taxis of the modern type as well as ‘almendrones’ which means ‘big almonds’ to refer to the classic US cars that are commonly used as taxis. As always, agree on a fare prior to getting in. Use safe and newer authorized taxis only. You may pay slightly more. What is the Masonic Museum? We will be visiting the Masonic Museum (rarely seen by travelers) which houses many precious artifacts relevant to Cuban history. The Masonic Museum operates on anonymous individual donations only. It is up to you to donate whatever you choose to for the tour. There is a registry book at the end of the tour and you would slip your donation under the back page. CLOTHING: shorts are not permitted in the Masonic Museum. 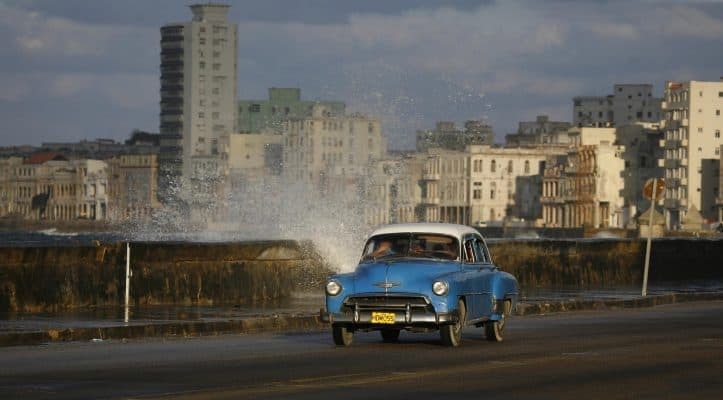 You may want to change back into shorts after the tour because, again, you can expect hot weather in Cuba.